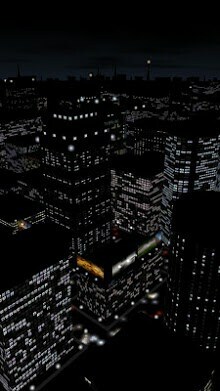 Description: YourCity 3D is a fully computer generated city live wallpaper. The city is built up pixel by pixel, polygon by polygon. Take an aerial tour and fly through the streets of your own personalized city while taking in the bright lights and colorful displays. – Simulated traffic and traffic lights. – Contains no textures or geometry data. – All textures and geometry are procedurally generated and completely random. – No two cities are the same. – Full 3D hardware acceleration. Supports OpenGL ES 2.0. – Optimized for low memory usage and little to no impact on system performance. – Supports all Android devices with Android 2.3 and up.